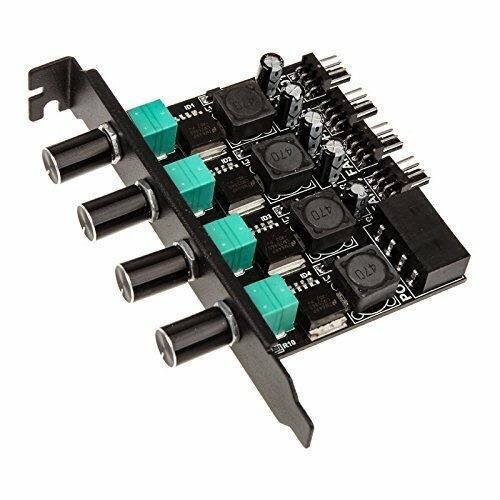 Lamptron 4-way High Power PCI Fan Controller CP436 is specially designed for PCI sockets,having a D power connector, 4 channel, 4 pin terminals compatible with 4pin and 3pin fans, output power of each channel is 36W, output voltage is 2v-12v, fans can be turned off. Model: LAMP-CP436B. If you have any questions about this product by Lamptron, contact us by completing and submitting the form below. If you are looking for a specif part number, please include it with your message.